Set between episodes two and three, during Golden Week, Yuri arranges for the SSS to go on a deadly picnic, which involves most of the members trying to kill each other with various traps and gadgets. An original video animation (OVA) episode was released in December 2010, and a second OVA was released in June 2015. Angel Beats! Hell’s Kitchen is another stand-alone OVA. Similar to the first OVA, you’ll get more enjoyment out of this if you are already familiar with the SSS’s members personality and traits. The animation and music are consistent with the TV show. 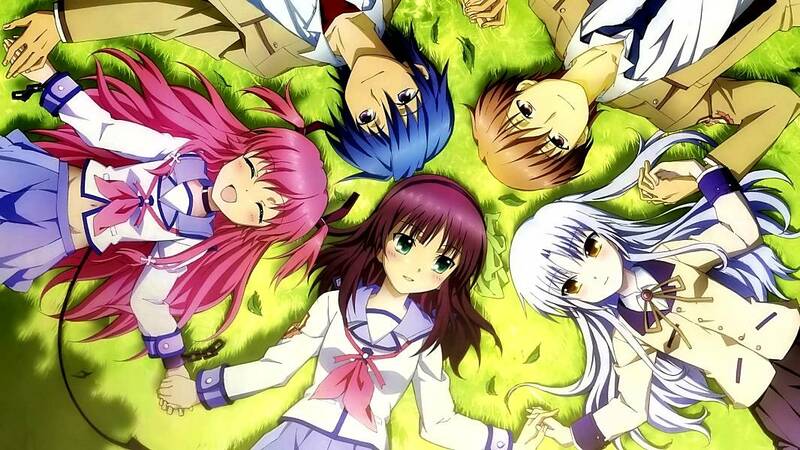 I would only recommend this anime to a fan of Angel Beats! The anime contains crude humor, a moderate amount of graphic violence, and some suggestive themes/dialogs. Intended for young adults. "I... don't know why I'm alive. I have no reason to live. I have no interest in others. Living without concern for others... That's the way to live. Working a job that earns me just enough to eat... A life like that was enough..."
"I put a propulsion engine under your seat just in case you messed up." "One person needed the courage to face the past. Another person needed the effort to make a dream come true. Yet another person needed time and friends. What about you?" "Oh man, my heart is pounding. I'm eating snacks in the middle of class! I ate it! I totally ate it! Boldly eating snacks in the middle of class! I'm being so reckless!" "Watching TV or playing games alone is more fun. Playing along with your friends' hobbies... Laughing at their jokes when they're not funny... All that does is tire me out." "We have no choice but to accept the one and only life we're given, no matter how cruel and heartless it might be." "My life after losing her... Is it over as well? The days I spent satisfied with the happiness I never noticed... Those times had passed away. For me... There's nothing left at all."